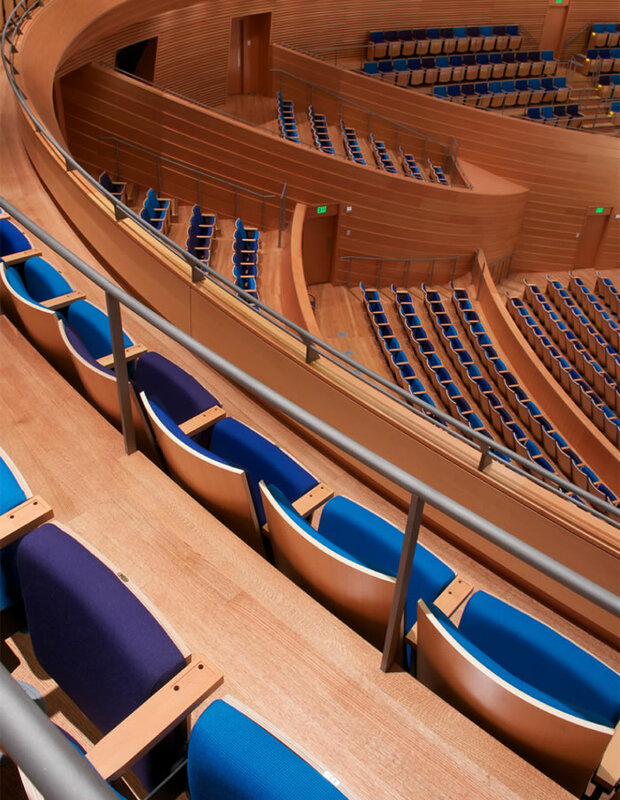 renowned architect Moshe Safdie, of Safdie Architects, made extensive use of genuine American Hardwoods to create a graciously elegant venue that hosts a busy schedule of local, national, and international artists and performance groups. The Kauffman Center houses two performance halls, including the 16,800-square-foot Helzberg Hall, home of the Kansas City Symphony. The architecturally impressive space is characterized by its use of American Hardwood which works in tandem with other wood species and building materials to produce an environment that is aesthetically pleasing, incredibly durable, and acoustically superior. The flooring at the audience levels is crafted from quarter-sawn red oak, which the architectural team selected for its tight, even grain and reduced figuring. In addition to providing beauty that rivals rarer and more exotic species, the homegrown red oak also provides all the durability and comfort needed to accommodate regular visits by discerning audiences of up to 1,600 people. "While quarter-sawn red oak is a beautiful material, it's also incredibly stable," says Criswell Davis, Architectural Marketing Manager for Frank Miller Lumber Company, Union City, Ind., the wood supplier. 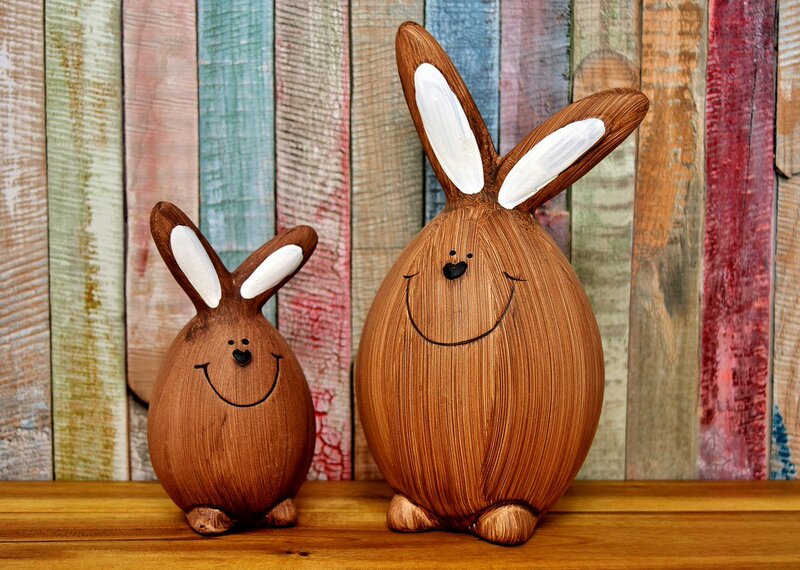 "All hardwood floors expand and contract, but the straight grain of quarter-sawn hardwood means the boards will expand and contract in thickness rather than width, effectively eliminating gaps and buckling as moisture levels change with the seasons." 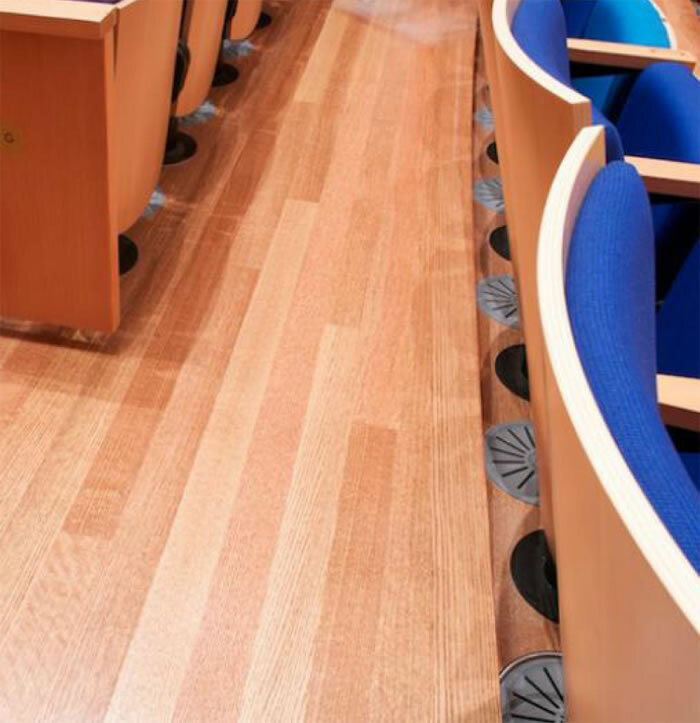 The red oak flooring also provides warm acoustic qualities to amplify sound throughout Helzberg Hall. According to the design team, the flooring works in harmony with other materials to provide the desired look and finish for the hall's architectural aesthetics and world-class acoustics. In addition to the oak, Safdie Architects specified quarter-sawn cherry for door frames, paneling, and custom furniture in the venue's luxurious Ewing & Muriel Kauffman Reception Suite. The dark, warm look of rich cherry set the stage for the calm, exclusive club-like atmosphere the architects envisioned for the room. 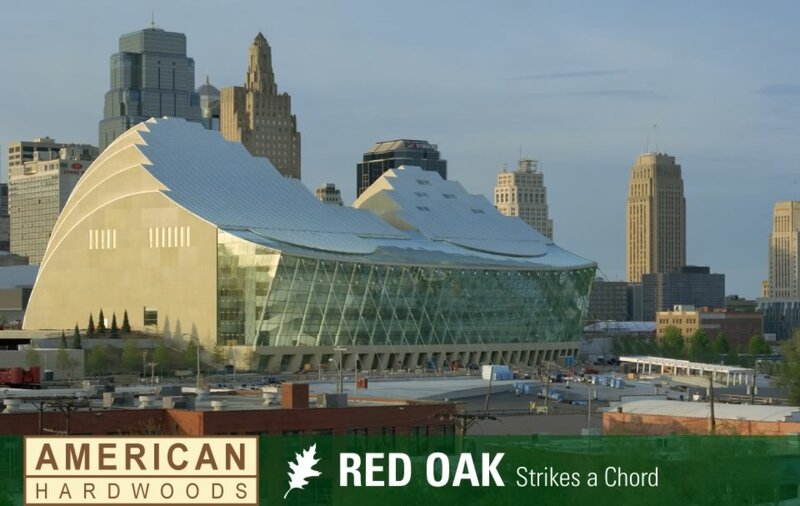 Aided by the exceptional versatility of American Hardwoods, the Kauffman Center is not only a breathtaking architectural achievement, but also serves as the cultural cornerstone of one of America's true heartland cities.